Hey Guys! I'm back from New Zealand! What an adventure it has been! I started early in the morning here in Brissie by taking the flight to Christchurch at 8am the 29 of January. I landed in a sunny, but not sweaty, New Zealand at 3 o'clock local time. I found my way to the hostel where I spent my first night, made som dinner and when the sun almost had disappeared on the sky, I finally met Elin! It was so nice to meet her and talk to her about everything and nothing at all, just to get a little bit of Sweden (and her of course) was just what I needed. 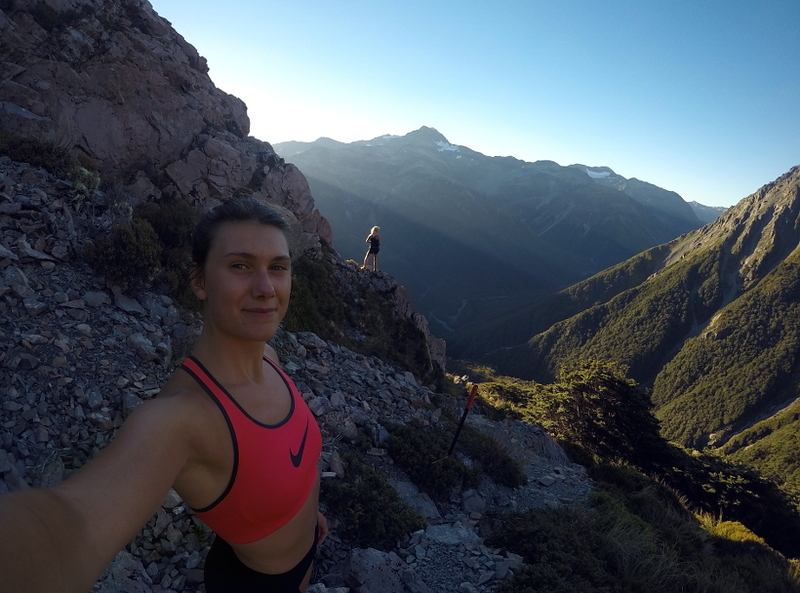 We decided what to do our two next days to geather and we started with picking up the camping van and then we headed to Arthurs Pass. 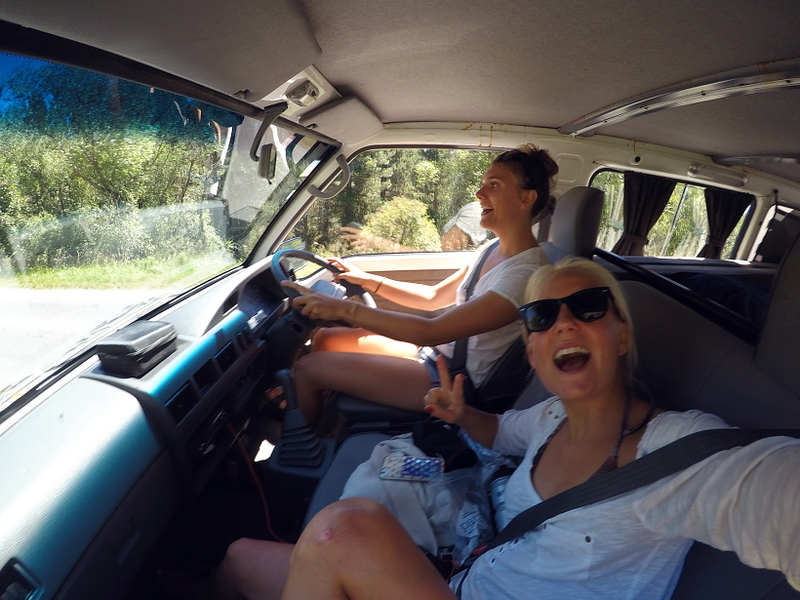 I was very nervous about driving the van beacuse it was an old manual car and I had to sit and drive on the opposit side of what I'm used to. Scary, but it went all good! 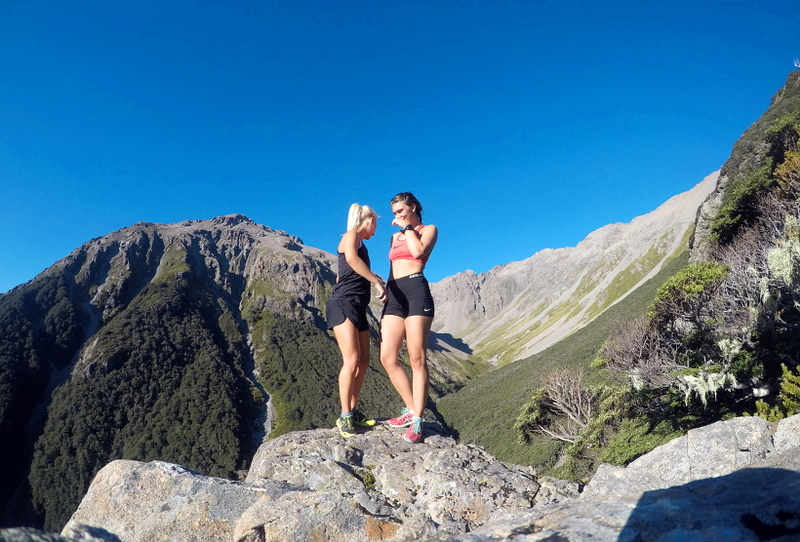 Arthurs Pass is a little, little village located NW from Christchurch, but it's also a big National Park with great mountains and hiking tracks. Both Elin and I felt a bit tired when we arrived so we decided to just go for an easy run to a waterfall... It ended up in a long run over two hours haha. Typical I would say if you're out exploring. We ran (read climbed) up a mountain called Mt Aicken and on the two middle pictures you can see a glimpse of our route. Beautiful sceneries!! We ended the day with a home cooked meal and then we slept good all night until 8.30 the next morning. Back to Christchurch to participate in out first Rogaining event. On our way we stopped to check out a cave and run on a super cool map (left bottom picture). Run or run, we ran slowly and uneaven, our legs and minds wasn't with us at all... We both felt sick but everything turned when the start signal went off for the rogaining! Rogaining is like orienteering but here you decide by your own wich controls you will run to. The thing is to get as much points as possible and every control has it's value. You have to think and be smart, shall you run to the closest that isn't worth as much as the ones further away? Elin and I did a mix and I have no idea if we where good or not but it was really fun and challenging in the hilly terrain. Like the "cream on the mash" as we say in Swedish we finished our last day to geather by taking a bath in the ocean meanwhile the sun disappeared behind the mountains. Cold water but our bodies where still hot after the run so it became a perfect combination. The first of February we hugged each other good bye and I began to travel through New Zealand on my own. More about that next time, love.